Indonesia National Air Carriers Association (INACA) has asked for the first stone laying of Terminal IV project at Soekarno-Hatta Airport in Cengkareng to be accelerated, or held in conjunction with the planned construction of the third runway this year. Chairman of INACA, Bayu Sutanto, welcomes PT Angkasa Pura II's plan to increase the number of passenger terminals at Soekarno-Hatta Airport. "We appreciate that Angkasa Pura II has prepared an anticipatory measure to increase the capacity of the airport in the future. It should not be what happened in the past, when the anticipation was late," he said in Jakarta, Monday (14 August). 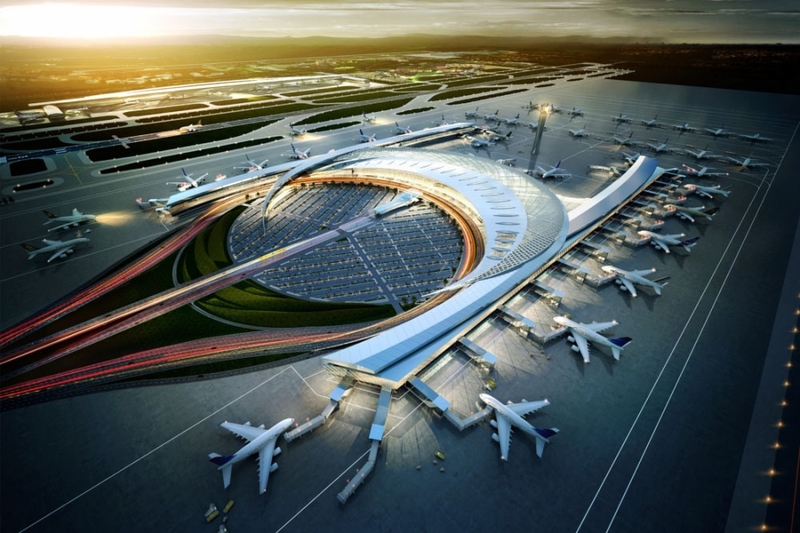 However, Bayu said further, INACA hopes that the construction of Terminal IV can be done simultaneously, or in parallel with the planned construction of the third runway of Soekarno-Hatta Airport. According to him, if this can be realized, the airlines will increasingly become optimistic in looking forward to the development of the airline industry in the future. Of course, the airlines will also become increasingly confident in pursuing expansion. "Let the public, domestic airlines and foreign airlines know that currently the government and State-Owned Enterprises (BUMNs) are serious to meet the demand of passengers and airlines. This will also be a good publicity for Angkasa Pura II," he said. In addition, Bayu assesses, the government should accelerate infrastructure development given the current condition of infrastructure, especially air transportation, still lagging far behind compared to the rate of demand growth. PT Angkasa Pura II (Persero), the airport operator of Soekarno-Hatta Airprot, plans to build a new airport, the Soekarno-Hatta Airport 2. The construction of the new airport is to cope with the increasing traffics of passengers as well as flights at the Soekarno-Hatta Airport right now. President Director of PT Angkasa Pura II (AP II) Muhammad Awaluddin said the existing capacity of Soekarno-Hatta Airport is predicted to reach its maximum point in 2025. “Once the runway 3 and terminal 4 are set, the Soekarno-Hatta Airport will not be able to accommodate the passengers and airplanes whose numbers keep increasing annually,” he said recently. According to Awaluddin, in 2025 the number of passengers at Soekarno-Hatta Airport is expected to reach about 100 million people. The amount will exceed the existing capacity of Soekarno-Hatta Airport. The current capacity of Soekarno-Hatta Airport is about 60 million passengers per year. To anticipate the increasing number of passengers, AP II is currently preparing the construction of terminal 4 located in the Soewarna warehousing area. The terminal 4 of Soekarno Hatta Airport will occupy 300,000 square meters, or slightly smaller than the terminal 3 which is built on 400,000 square meters of land area. In addition to the passenger terminal, AP II will also build a third runway with the size of 3,000 x 60 square meters. The new runway is targeted to start operational next year to accommodate the 114 flights per hour at the Soekarno-Hatta International Airport.